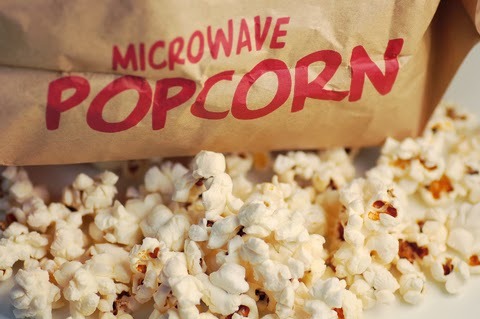 Fake Food Watch: The FDA Deserves No Credit for Banning Trans Fats in 2013! The FDA Deserves No Credit for Banning Trans Fats in 2013! Famed New York University professor Marion Nestle, Food Politics author, applauded the FDA for "finally taking care of the trans-fat... loophole" and exulted, "The FDA is Back!" Really? Not so much, in my view. Accolades in 1993, maybe. But in 2013? When studies conclusively proved 20 years ago that trans fats clearly exert a toxic impact on public health, especially heart disease? When, as early as 1956, scientists suspected that trans fats caused a major jump in coronary artery disease? Briefly, trans fats were created as part of the early 20th-century rise of industrial food manufacturing, to augment for shortages of butterfat to meet growing consumer demand for fried and baked foods. Trans fats also are a cheap substitute for pricey, purer fats. "Trans fats are a type of unsaturated fat which is uncommon in nature but can be created artificially. In food production, liquid... unsaturated fats such as vegetable oils are catalytically hydrogenated to produce partially or completely saturated fats that melt at a desirable temperature (30–40 °C). NOTE - "Catalytic hydrogenation" is chemical treatment with gaseous hydrogen to change molecular structure. The process is commonly used by the petrochemical, pharmaceutical, and food product industries. Clogged cardiovascular systems aren't the only health problems caused or exacerbated by trans fats in foods. Among health hazards tentatively associated with trans fats are Alzheimer's, certain cancers, liver dysfunction, female infertility, and depression. Why did the FDA delay banning trans fats from the food supply for 20 years, if the fake-fat is so lethal to public health? Fear of upsetting fake-food corporate donors to political campaigns? Close ties between fake-food corporations and the FDA? Fear of hurting fast food and fake food sales, which would impact the economy? Who profited from the FDA postponing a ban on trans fats in U.S. foods? Mega-corporations, both fast food chains and fake food manufacturers, who spent billions and two decades to develop new, cheap chemical additives and fillers to substitute for trans fats. 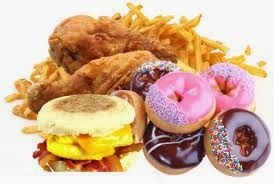 "Some nutritionists worried that trans fats would simply be replaced by saturated fats," noted the New York Times. "No trans fats," hawk McDonalds and other fast food chains, never mentioning that the substitute fat is equally harmful to health. Why, in 2013, did the FDA finally propose a ban on trans fats? After 20 years, it's an easy step to take, one already fixed by major corporations at their own snail's pace, using their vast resources to produce a result that won't hurt profits. No major political donors will be miffed. The FDA desperately needs a spate of good publicity in 2013, given that it's ignoring the tremendous harm done by Monsanto to the U.S. food supply, and calamitous nationwide controversy over genetically modified foods (GMOs). How many Americans died due to the FDA's long delay in banning trans fats, despite clear and damning scientific evidence that the fake-fat food additive was lethal to public health? "Banning them completely could prevent 20,000 heart attacks and 7,000 deaths from heart disease each year, the F.D.A. said," reports the New York Times. By FDA measure, then, at least 400,000 heart attacks would have been prevented and 140,000 lives saved had the FDA enacted this ban when it became scientifically known 20 years ago that trans fats are lethal to human health. In 1993, the FDA should have been lauded and applauded for enacting this ban to protect Americans from the toxicity of trans fats. In 2013, the FDA deserves no credit whatsoever for taking the no-brainer step of finally banning trans fats from the U.S. food supply.